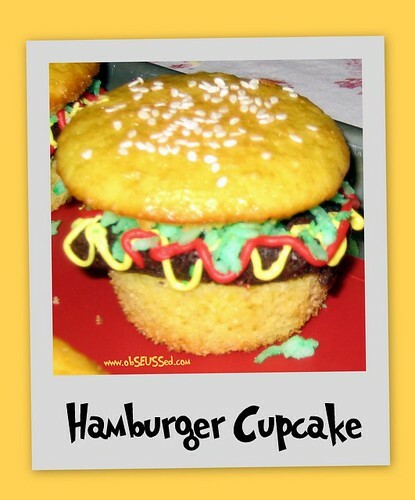 We made these fun hamburger cupcakes for my daughter's Sock Hop Birthday Party. Make brownies from a box mix, once cool cut into 2 inch squares and round edges to look like hamburger patty. 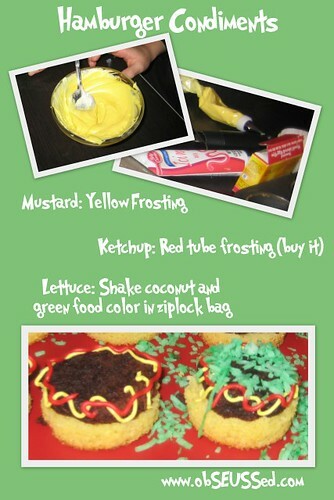 Place on the bottom portion of the cupcake. Use the can of white frosting. Add 4-6 drops of yellow food coloring and mix with spoon to change color. Spoon 5 Tbsp into a zip plastic bag and cut a small tip off one bottom corner. Squeeze the frosting slowly and pipe it in waves around the edges of the brownie. Pipe the Red frosting in waves around the edges of the brownie. Place 3/4 cup of shredded coconut into a zip plastic bag and 3 drops of food coloring inside. Zip bag then shake until coconut turns green. Sprinkle around edges of brownie. Place the top of the cupcake/bun. Sprinkle sesame seeds on top as desired. 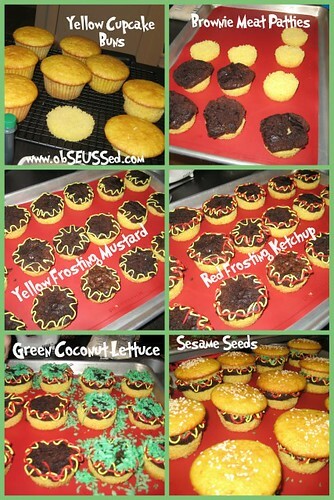 The Best story to read when you make these treats is The Old Lady Who Swallowed a Burger. 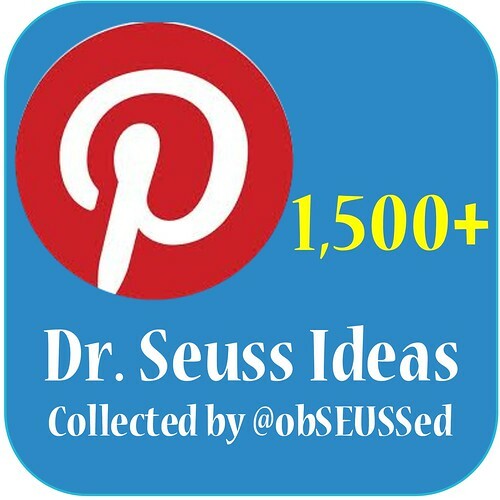 See the whole story/poem and printable on Marcia's Lesson Plans. Open the file for a word document. Check out this cute interactive flannel board set on etsy. You can also see someone do a video of the story on YouTube. Description: "Jeffery is tired of the same old fairy tales and wants to hear about Grandma's life growing up in the old country as a Hamburger. 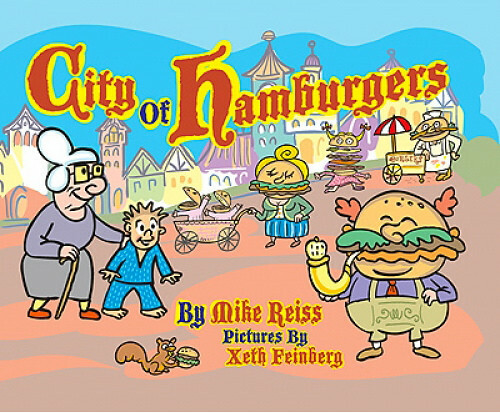 Imagination, as well as ketchup and mustard, flow through this delightfully quirky book." 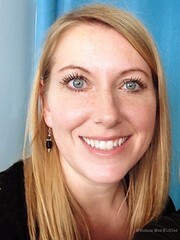 This book uses humor to share a story about multicultural differences. 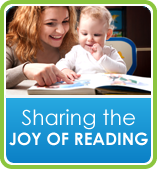 Fun for children and adults to read together and discuss. 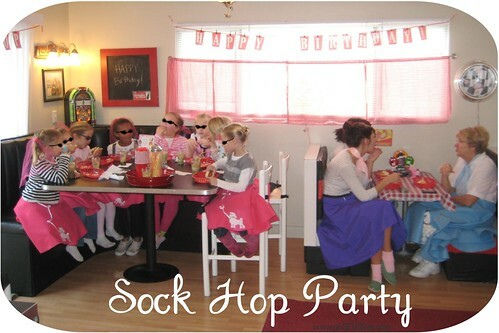 More ideas at the Sock Hop Party. How clever! This would also be perfect for April Fools Day. Found you on Tater Tots and Jello! These are so cute! 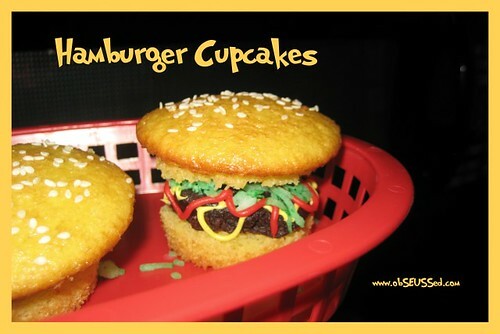 They would be fun to have at a Kid's BBQ party this summer. thanks for sharing! 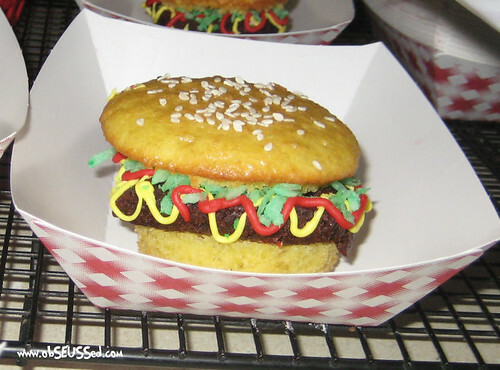 This is a another way on how to prepare your hamburger , another way to present your hamburgur to your Family and friends, and how yummy it is, especially the peppermint. Hello. this dish appears yummy and delicious and i have never tasted it before.but it looks so luring that i cannot stop myself to ask my mum to prepare it for me this hamburger . I love your home made meal sets for the party. This is great and I am sure everyone enjoyed it.